Project-based learning can focus on real community issues to combine content and student interests. 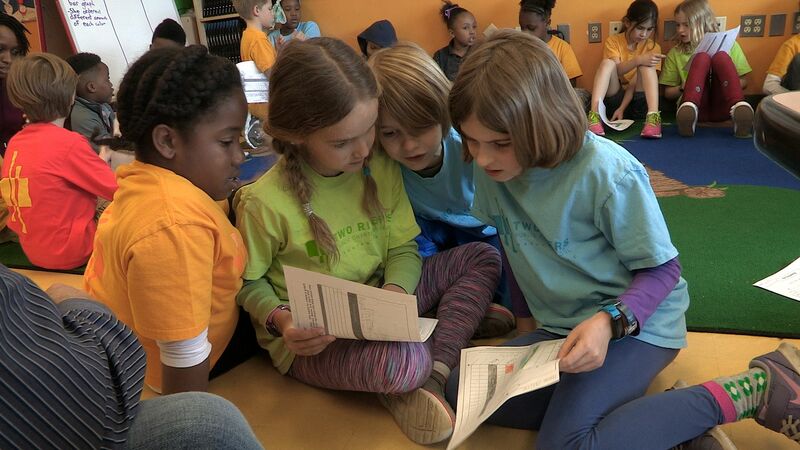 Problem-based learning (PBL) is integrated at Two Rivers Public Charter School in Washington, DC, at every grade level—pre-K through eighth grade. Students are presented with a real-world problem, undertake a series of investigations, and create a product that they present to an authentic audience as part of the Expeditionary Learning (EL) Education framework. What content and skills do my students need to learn? What would be proof of their understanding? In what contexts will they develop understanding? What are my students interested in? What are real problems that people in my field—ecology, biology, local history—grapple with that are related to the content I need to teach? What is the problem that I want my kids to solve? What product will my students create? “Once you have those big pieces in place, you can start to plan: ‘What are the day-to-day things that I'm going to do to get them to face that problem and then move towards an ultimate solution?’” says Heyck-Williams. 3. Be flexible with the product. It’s good to have a product in mind that you can guide your students towards, like creating a book, website, or policy brief. If you want your students to create a website, you can introduce websites as great resources in prior lessons. But the product isn’t the learning goal. Solving the problem and understanding the content is. The product is just the avenue to get there. If your students are excited about another product idea, go with it. When planning, think about the variety of products that your students might come up with to solve the problem, suggests Tomasko. Plan for flexibility. Instead of giving your students directions for an in-class assignment, ask them what they should do. If your students are lining up and it’s noisy, tell them what’s not working and ask them how they can solve it. If you create a birthday chart every year, have your students create it. 6. Use KWI to help your students problem solve. K: What do your kids already know about the problem? W: What do they need to know in order to solve the problem? I: What ideas do your students have to solve the problem? “Even if your students are solving an open-ended math problem, they can think through: What do they know about the problem, what’s being asked, and what different ideas do they have to solve it? Then you can apply that same structure to a more long-term project like a learning expedition,” says Tomasko. Demographic data is from the 2015-2016 academic year. Fiscal data is from 2014.